As part of the enormous SkiWelt area in Austria, the delightful Soll village continues to attract visitors in high numbers. Boasting 280km of slopes, there are plenty of excellent runs to choose from and the atmosphere is truly wonderful. Along with marvellous accommodations and magnificent facilities, Soll boasts a friendly atmosphere and a range of delightful buildings, making it one of the more aesthetically pleasing resorts in Europe. Ski holidays in Soll also provides lively après ski plus a varied and energetic nightlife. There are plenty of awesome restaurants available to choose from across the village, along with some excellent shops and facilities. Soll provides excellent value for money for a large resort and its family-friendly variety of runs make it particularly appealing for all ages. Soll is easy to get around, too, as ski buses are available to take visitors directly to the slopes with minimal hassle. Once you arrive at the resort, it is very simple for people to make the most of the vast terrain through the efficient transport system. While the runs are a crucial factor when deciding where to visit for skiing, it is not the only factor that skiers should consider, as resorts need to boast strong transportation and great facilities to provide a great all-round experience for tourists. Views available across the resort look out onto more than 70 mountains, which are accessible through the resort’s 90 ski lifts. 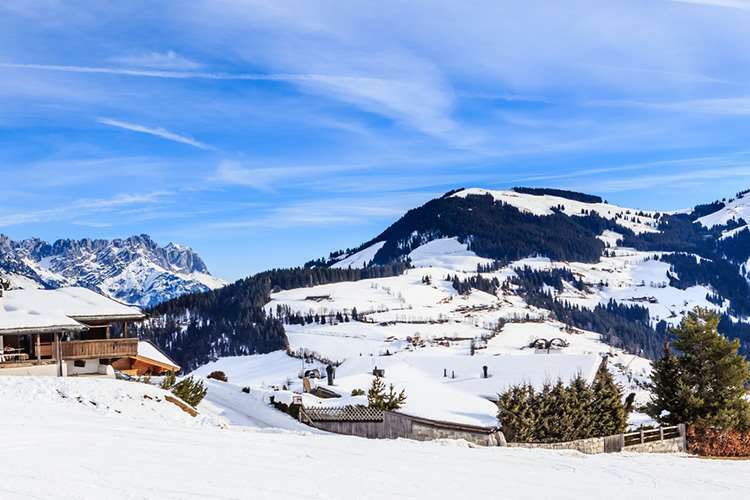 Rather than just being a ski heaven, Soll boasts a magnificent landscape that makes it a popular destination for hiking and other winter activities. The resort’s phenomenal facilities make it a fantastic place to relax after some time on the slopes. At 703m above sea level, the village benefits from a picturesque rural location, boasting a blissful Baroque church in the foreground of the majestic Alps. The ski season in Soll runs from December to April, with excellent snow coverage enjoyed throughout these months. Even if the area goes through a dry spell, there are snowmaking facilities available so the skiing can continue. With a picturesque tree-lined environment, Soll continues to be one of the most visually stunning resorts in world. Thanks to its relatively small size and varied selection of runs, it is easy for skiers and snowboarders to gradually improve their skills until they reach the more demanding terrain. As Soll is well connected to the wider SkiWelt Wilder Kaiser Brixental Ski Circuit, it is easy for visitors to take on a fantastic variety of runs, including 279km of manicured slopes and the stunning snowy peaks of Wilder Kaiser. Beginners will definitely appreciate the easy red runs close to the Hohe Salve gondola, while more difficult black runs are situated on the other side of the mountain. The most challenging route is Larchenhang, though this is quite short. Overall, the resort is best suited to beginners and intermediates. Soll is also one of the best places in Austria for night skiing, with 11km of floodlit runs including 3km of routes in the valley and an extra three runs in nearby Hochsoll. Soll is one of the best resorts in Austria for apres ski, offering excellent restaurants, amazing bars and a host of attractions. One of the top eateries is the Rossini cafe, where visitors can take in the stylish atmosphere, pick out some of the delicious dishes available and sample the mouth-watering drinks on offer. Bella Vita is another magnificent restaurant, serving up Italian, Asian and Austrian dishes with friendly customer service. The Whisky-Muhle is arguably the top nightlife spot, providing an amazing atmosphere well into the early hours. Other top bars include Red Horse, Salvenstadl and the Irish Pub – The Mill. The closest airport to Soll is Innsbruck, which is around one hour away by road. Salzburg is one hour and 15 minutes away, while Munich takes 90 minutes to reach. Had a great wee skiing in Soll, the hotel was fantastic great food breakfast was buffet with good choose, evening meal was soup ,salad from the buffet followed by lovely home cooked meal. We could not fault the food, hotel was clean and comfortable and staff very friendly . We hope to go back next year. 0 of 0 people found this review useful. Did you find this review useful? Please Login to vote. 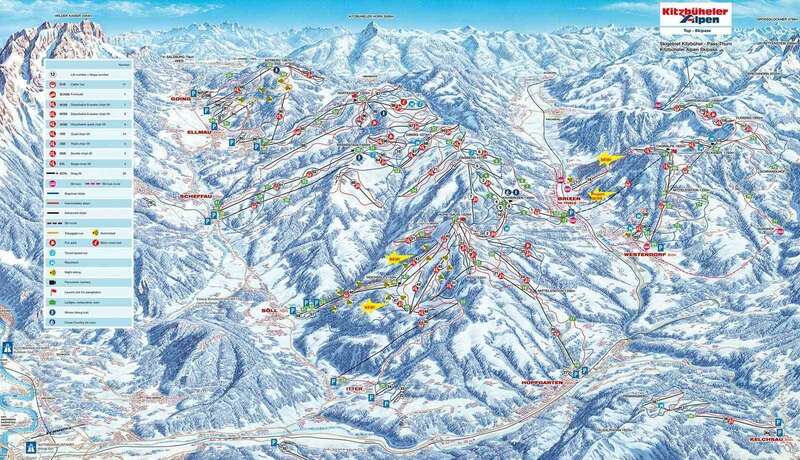 Soll is a great resort for anyone looking for a good value, varied ski holiday. 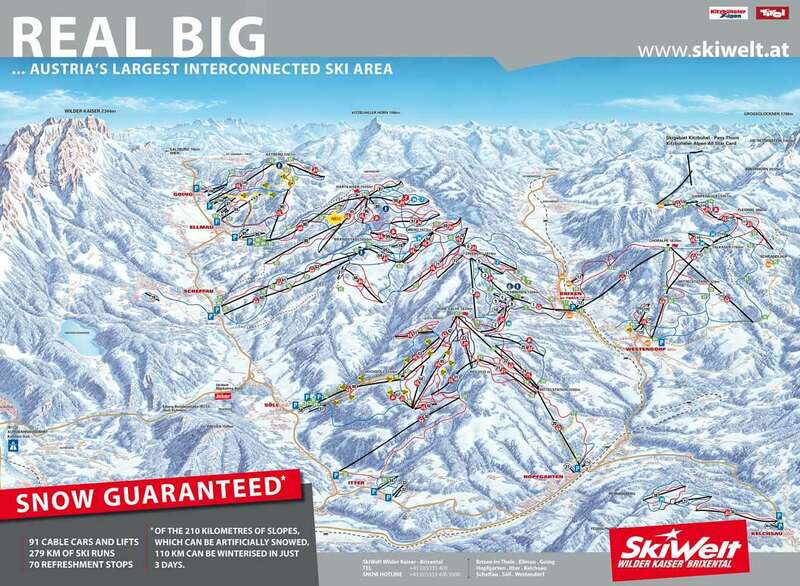 The Ski Welt is extensive enough that you can almost ski a different area each day, expert skiers may not be that challenged though. Be aware when exploring - ski buses may be required, as it is quite possible to be stuck on the wrong side of the mountain when the lifts stop. Apr&#232;s ski is fun and varied, with quiet refined bars such as Bella Vista, or the full throttle Whisky Muhle where Jagermeister flows like wine. For ski hire, the chaps at Snow & Fun are really efficient and will look after you with excellent equipment.